Wandile Mthiyane is a young, determined, award-winning architecture student with a vision to build sustainable housing for all disadvantaged South Africans - and he's asking you to buy a brick to build a home. 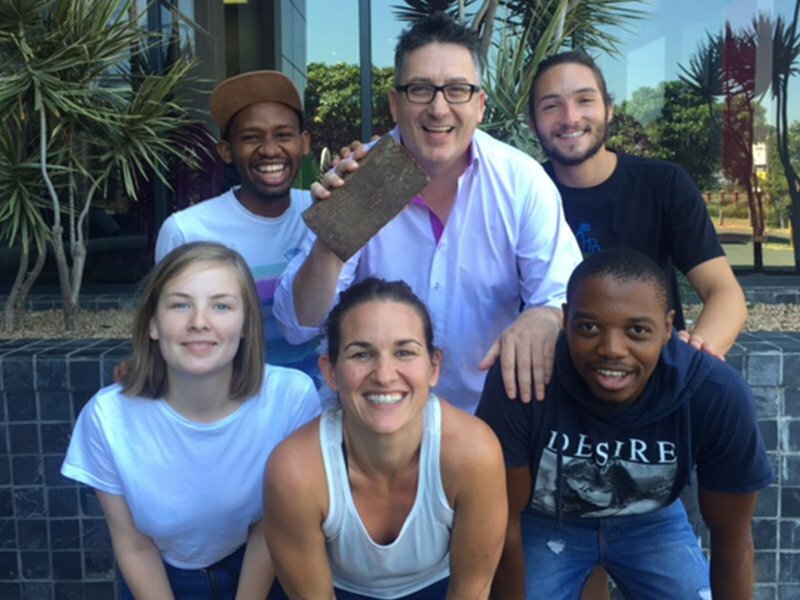 LISTEN: Darren Maule chats to Wandile Mthiyane, founder of Ubuntu Projects - Buy-A-Brick, Build-A-Home. Wandile Mthiyane is a young, award-winning architecture student with a remarkable background story that will inspire you and the whole of South Africa. At the age of 18, Wandile, who comes from a disadvantaged home in KwaMashu, got a partial scholarship to go study architecture abroad, but lacked the funds to make it possible. To raise funds to get him abroad, he wrote a manifesto on how he plans to develop Durban, which he sent to Mayor James Nxumalo, but he had to lie a little to get him just enough money to get him overseas. Now that his overseas adventure is over, he's back in the country and currently doing his masters and working on building a house for a disabled family as part of a project that will revolutionise the way we view social design and low-income communities. This initiative has been tried and tested internationally. Wandile and his team were invited to present their work at the United Nations and they won best Social Venture Competition at One Young World in Bangkok. He now works with other international students from across the globe to help use architecture as a vehicle for change. Ubuntu Projects is currently working on a project to build Mr and Mrs Mtshali a handicapped-friendy home in Umbumbulu, and they need South Africa's support to help this family and many other disadvantaged families in the country. People can get involved through donating materials, labour, and money. Construction started in March.